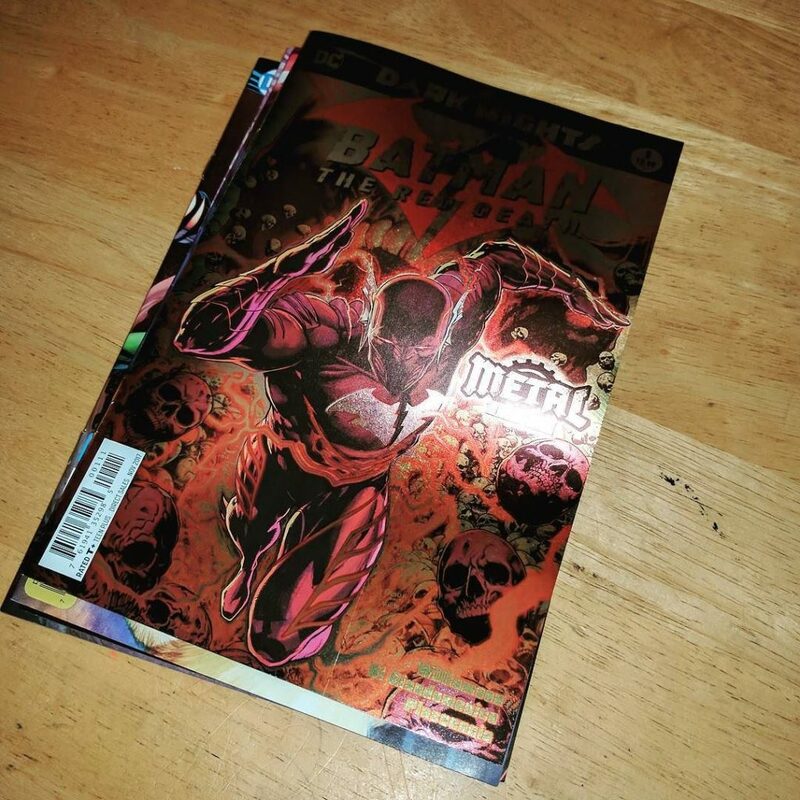 Wow, DC is serious about this “Metal” thing, huh? 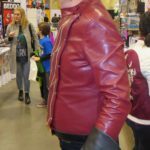 This entry was posted in Fun and tagged Dark Nights: Metal, Red Death on September 24, 2017 by Kelson. 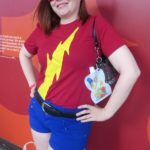 I attended three comic conventions this year (Toronto Comic Con, Niagara Falls Comic Con, and Fan Expo Toronto), and while there weren’t a lot of Flash-related cosplayers, I did see a few! 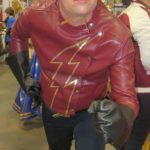 I photographed Speedforce reader Andrew back in March and promised to post the photos here, but ended up so busy with TV season blogging that I never got around to posting them. Eventually I decided to post all of them together after Fan Expo, which was last weekend. So without further ado, here they are! Plus one photo of me cosplaying as the Top this year, which was taken by my husband. 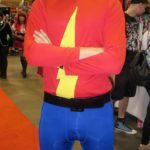 It seems like Jay Garrick and the Rogues were the more popular subjects for cosplay this year (I briefly saw a CW Reverse Flash at Fan Expo last weekend, but he managed to vanish after I glanced away for a moment and was never seen again, so I didn’t get a photo). I’m looking forward to seeing even more outfits in 2018! 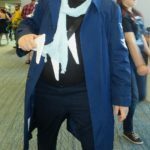 This entry was posted in Fun and tagged conventions, Cosplay on September 9, 2017 by Lia. 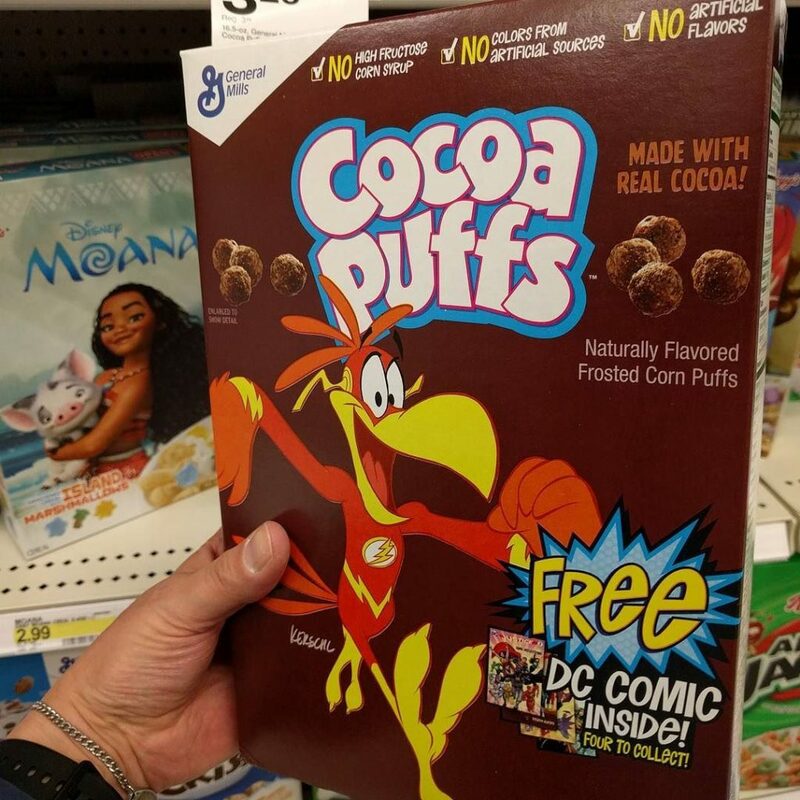 Considering Wally West’s favorite cereal is canonically Chocolate Frosted Sugar Bombs (a 1990s-era Calvin & Hobbes reference), this seems appropriate. 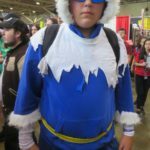 This entry was posted in Fun and tagged Food, Sightings on March 21, 2017 by Kelson. Grant Gustin’s Flash beat out Adam West’s Batman in the final round of CSBG’s March Madness poll. Meanwhile, over at TMSTash, The Flash lost to Arrow in their March Madness event. 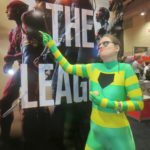 Both tournaments tackled on DC/Marvel TV adaptations this year, with CSBG looking at characters and TMStash looking at shows. This entry was posted in Fun, Timely and tagged Polls on April 5, 2016 by Kelson. It all comes down to this! Grant Gustin’s Flash has made it to the final round of CSBG’s March Madness fan tournament, up against Adam West’s Batman! Head over to CSBG and vote for your favorite! This entry was posted in Fun, Timely and tagged Polls on April 4, 2016 by Kelson. Who will advance to the final round? Head over to CSBG and vote for your favorites! This entry was posted in Fun, Timely and tagged Polls on April 1, 2016 by Kelson.